Victory Greens will help you bring your landscaping ideas to life. We have everything you need from sod grass, Basalite pavers, bulk landscaping rock, bark, mulch, and 1000's of trees for sale. Come by and see us at 100 E Victory Rd in Meridian. 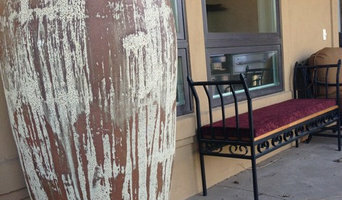 Retail and wholesale supplier of high-fired pottery in Boise, ID. Follow us on Social Media! Find Boise Pottery on Twitter, Instagram, and Facebook! We are committed to providing our customers the guidance and resources needed to create stylish and sustainable outdoor living environments. Kecia Carlson founded the company in 2002 after recognizing that many people enjoy gardening and the process of creating a garden or outdoor space, but that each person has different levels of interest, knowledge and ability when it comes to design, horticulture and landscaping. That coupled with the environmental conditions of gardening in the Treasure Valley, only enhances the challenge of creating a great space. She launched Madeline George Landscape & Garden Design to help people create their outdoor living spaces - spaces that are meaningful, stylish and sustainable. The company began as a small garden design firm. However, since 2002, the company has developed as an award-winning landscape and garden design firm and continues with its design work today. While a majority of the work is residential, the company has designed a number of public and commercial spaces and is currenlty involved in the design of JUMP in downtown Boise. Together with partner company, Think Green Inc., Madeline George offers design and build services such as consultations, design, estimates, material selection, installation and construction. The company offers its services in an "a la carte" fashion to facilitate individual needs and interests. In April 2012, the Company furthered its mission with the opening of a design-driven retail nursery, Madeline George Garden Design Nursery. The Nursery is innovative in its retail design and ability to showcase the variety of garden styles from which customers can draw inspiration for creating their own unique space, as well as education about gardening in the Treasure Valley. 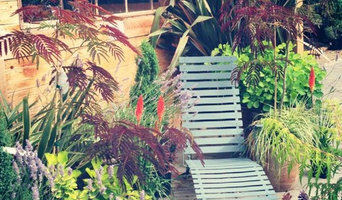 The Nursery offers a wonderful collection of plants that thrive in our climate and unique outdoor garden furnishings, including the classic, authentic French bistro line - FERMOB. The nursery also offers a selection of gardening accessories and supplies. Since 2000, Evolution Landscape & Nursery has provided South Western Idaho with distinctive professional landscaping services. We are a full service landscape company that specializes in customized landscape projects, but are able to accommodate projects and budgets of all sizes. We offer landscape design and installation, sprinkler systems, custom hardscapes, complete landscape and lawn maintenance, snow management, holiday lighting, and street sweeping. At Evolution Landscape & Nursery, we believe in providing superior products and personalized service for all of our clients. Our professional, courteous, and friendly staff is here to work with you and your budget to turn your dreams into reality. Our landscape designers listen to your ideas, then combine them with their professional artistry to achieve the look you had in mind. We pride ourselves on quality and attention to detail. We are dedicated to providing you with distinctive quality landscapes. We are all you need to enhance the beauty of your home with quality nursery stock and custom landscaping. Retail store with imported pottery, domestic and imported water features, patio furniture, and landscape rock. 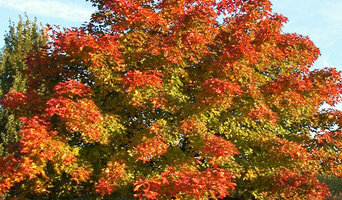 Nothing adds beauty and value to landscaping like the quality trees and shrubs you will find at Cloverdale Nursery. Our field grown material includes a large selection of evergreens and zone hardy deciduous trees. 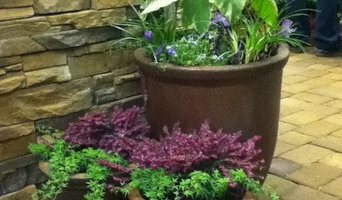 We feature specimen sized plants that will make your landscape look more mature and established. This includes evergreens up to 14 feet and deciduous material ranging from 1 1/2" to 4" caliper. We also have a 5 acre can yard with production concentrated on zone hardy, drought tolerant shrubs. This includes potentilla, currant, cistena plum, juniper, redtwig dogwood varieties, spirea, virburnum and forsythia. Local soil conditions can vary greatly so make sure to ask us about the best way to prepare your site for planting. We put our passion to work by creating living landscapes that reflect each client's vision. For some, that might be subtle and tranquil, but for others, it could be a powerful, vibrant display of annuals and perennials. Our goal is to not only help you decide what you want from your landscape, but show you how to make it happen. We specialize in Greenhouses, Greenhouse Kits, Sheds, Garden Accessories and Robotic Pool Cleaners. At Bestbath Showroom, you can count on us to be your accessible bathing experts with the training, knowledge and experience to answer all of your questions and meet your needs. We understand each customer has unique needs, and we strive to provide safe bathing solutions for people of all abilities. Purchasing a Bestbath shower or tub system from Bestbath Showroom will be one of the best decisions you’ll ever make. Founded in 1989, The Nature Company provides the Treasure Valley with landscaping services, a specially designed retail nursery, outdoor kitchens, and outdoor living design and building. Our specialty is to provide you with the most unique and tailored outdoor environment. Our nursery features plants you won’t find anywhere else in Southwest Idaho. Expert staff will help you find the right Sawtooth or Traeger grilling system. In addition, The Nature Company has an on- site horticulturist ready to answer any question you may have about the plants you desire. Stop by or call us today – we would love to assist you with nurturing the nature around you. What garden supplies can I get from Boise, ID garden centres and landscaping retailers? If you’re going for a complete overhaul of your garden, then you’ll probably need soil, turf, large plants, trees, decking or patio materials to make a start. Wholesale garden suppliers in Boise, ID will be your best option for all the basic garden supplies, so get in touch with them to discuss your needs. Once you have the foundations of your garden sorted, then the adorning and decorating can start, which is where Boise, ID garden centres will become your new favourite haunt. From seeds, small plants, garden ornaments and plant pots to the bigger structures such as pergolas, greenhouses, garden furniture, water features and planters, garden centres will offer a wonderful range of garden supplies and accessories to help you lade your garden with lovelies. Find specialistBoise, ID garden suppliers if you’d like more uncommon garden features, like fire pits, garden sculptures, raised flower beds or special garden lighting. You can even find vintage garden accessories from some retailers if you want the shabby chic, eclectic garden look. Garden suppliers and landscape supply professionals in Boise, ID will be able to offer advice on the suitability of certain products for your garden design and possibly assist with the installation and maintenance of your garden supplies and features. You may wish to involve a garden contractor or landscaper in your garden supply choices, as they will also have a clear idea of what materials and items are best. They may also be able to recommend Boise, ID garden centres in your area that they have worked with before. Here are some related professionals and vendors to complement the work of garden & landscape supplies: Landscape Contractors, Main Contractors, Landscape Architects & Garden Designers. Find landscape and garden supplies on Houzz. Search the Houzz Professionals section for Boise, ID garden centres and garden suppliers. Browse photos and read reviews. 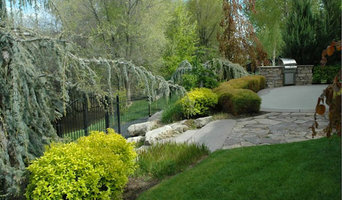 You can also explore full-service Boise, ID landscape architects and garden contractors.